Is your pet's world truly safe? Pet Safety Lights are designed for all pets with owners who care. 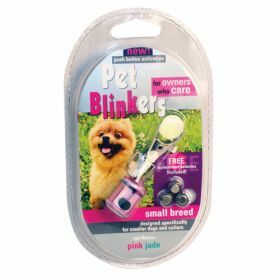 If you love your pet you will love the Pet Blinkie. 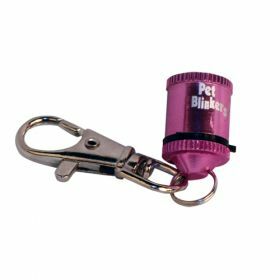 Pet Blinkies are vibrant, multi-color lights that attach easily to a collar, leash or harness. 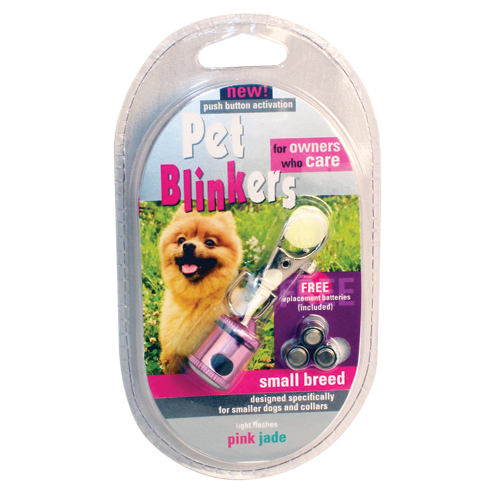 Pet Blinkies are waterproof and visible up to 1/2 mile away. Pink and Jade blinking, vibrant colors. These lights are a must have for all owners of black dogs. Never wonder where Fido is when you let him out at night again. With these pet safety lights, you will be able to locate him where ever he goes in the yard.